When occult is be defined as “the supernatural or supernatural agencies and affairs considered as a whole” (from http://dictionary.com), 1408 fits, so that is the definition I am using. 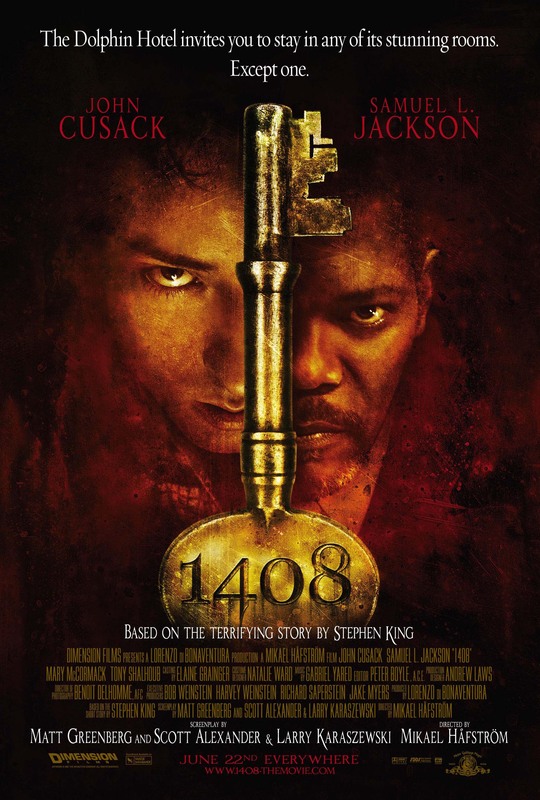 It’s no secret to my friends and family that I am scared easily, but never had a movie made me scream in a crowded theatre before 1408. Sitting next to one my best friends, I let out the loudest, most feminine squeal of my movie-going life about halfway through the film. This Stephen King adaptation is one of my favorites (along with The Mist, mentioned earlier). It isn’t a perfect film, but few of my favorite movies are. The flaws of the film are made up for by the scares that Håfström brings to the table. 1408 is also an example of a movie where I can’t decide which ending I like better: the theatrical cut or the Director’s Cut. Both had an impact on me the first time I saw them, and it’s hard to choose which fits the movie better. If you’ve missed out on this gem, pick it up. It can be found on Blu-ray pretty cheap now, and is worth owning.